Rod Frum was born on December 21, 1923, in Richwood, Ohio. He enlisted in the U.S. Army on December 12, 1942, and entered the Aviation Cadet Program of the U.S. Army Air Forces on February 21, 1943, receiving his pilot wings and appointment as a Flight Officer at Napier Field, Alabama, on June 27, 1944. After completing P-51 Mustang training, F/O Frum was assigned to the 487th Fighter Squadron of the 352nd Fighter Group in England, in February 1945. He was credited with the destruction of 3 enemy aircraft on the ground while strafing enemy airfields, and another 2 damaged, before the war in Europe ended. 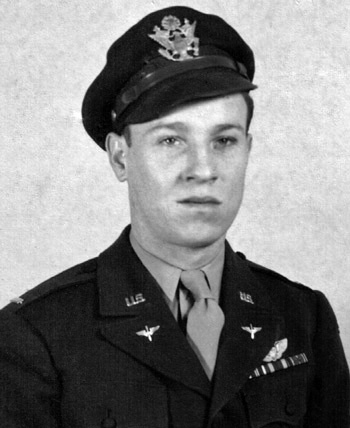 He was commissioned a 2d Lt in the Army Air Forces on April 28, 1945, and remained in Europe on occupation duty until returning to the U.S. in July 1946. 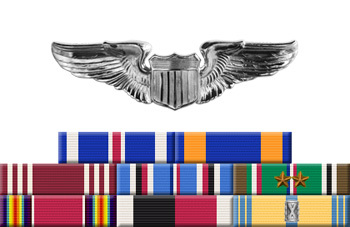 Capt Frum left active duty on September 8, 1946, and then served in the Air Force Reserve, receiving an honorable discharge as a Major on May 14, 1958.